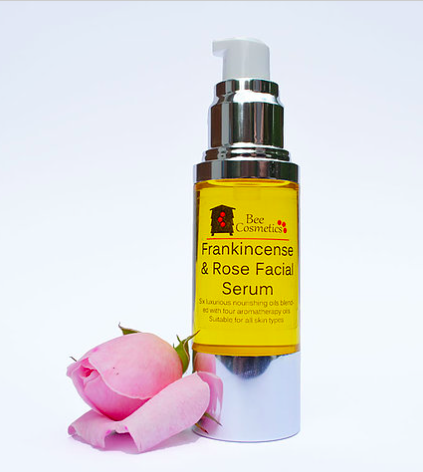 We have a Frankincense & Rose facial serum to give away from Bee Cosmetics each month. Bee Cosmetics describe the serum as; "Six luxurious facial oils blended to suit sensitive and maturing skin. Combined with aromatherapy oils of frankincense, rose, geranium and pachouli, this is our most popular product. Suitable for all skin types. A few drops massaged into the face and neck leave your skin silky smooth. A perfect alternative to a moisturiser, particularly at night. Can also be used under a moisturiser if needed."